Extended temperature range up to -30 °C. 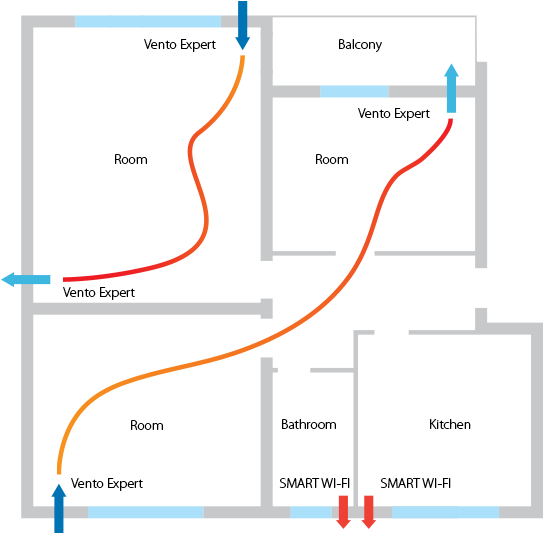 Arrangement of efficient energy-saving, supply and exhaust, single-room ventilation in flats, houses, cottages, social and commercial premises.Reducing heat losses caused by ventilation due to heat recovery.Humidity balance and controllable air exchange create individually controlled microclimate.Wi-F i data exchange between several single-room ventilation units for coordinated operation.Controlled by Android or iOS smartphone or tablet. 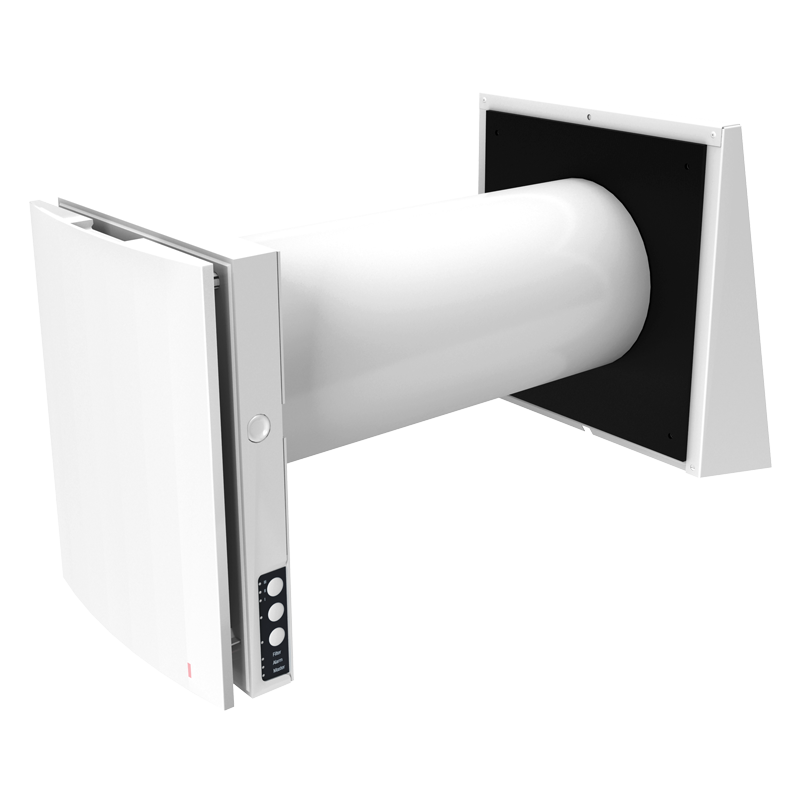 Warm stale air is extracted from the premise, flows through the ceramic heat exchanger and transfers its heat and moisture to it.As the ceramic heat exchanger gets warmed up, the unit switches to the supply mode. 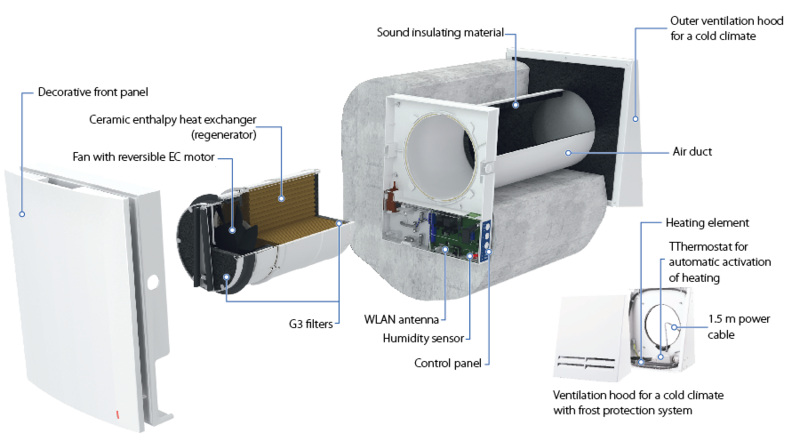 Clean cold intake air flows through the heat exchanger and absorbs accumulated heat and humidity.When the heat exchanger is cooled down, the unit switches to the extract air mode. 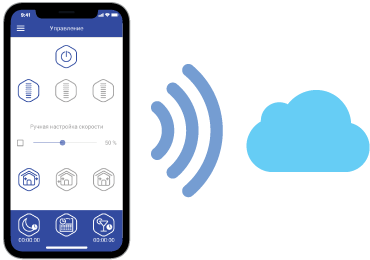 Unit control via smartphone or tablet application.The units can be connected by Wi-Fi for synchronized operation.House ventilation control via cloud service from anywhere in the world. 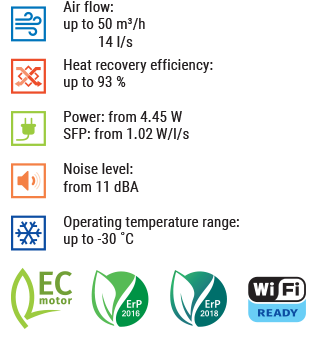 Vento Expert A50C3-1 S8 W V.2 either can operate as independent unit or can be connected with other units in a house and controlled with a master unit. 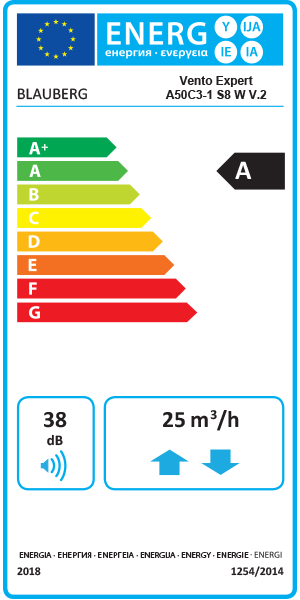 In this case, only the master unit receives a signal from the remote control. 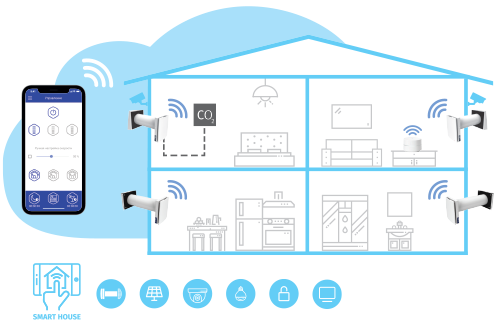 Vento Expert A50C3-1 S8 W V.2 is equipped with a humidity sensor for indoor humidity control. 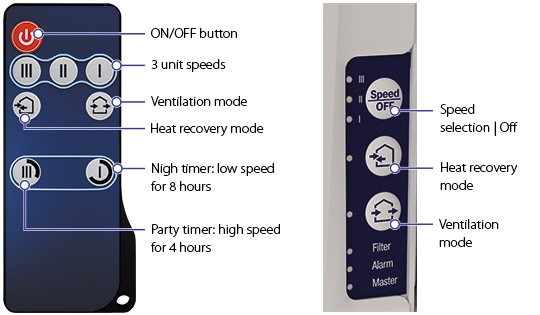 If humidity increases above a set point, the unit boosts to the high speed independently on other units in the system.